Today, the Church celebrates the Sixth Sunday of Easter. In Australia, we also celebrate Mothers’ Day today. It can be difficult to determine to what extent local concerns can and should be incorporated into the celebrations of the universal Church. It is important to respect the liturgical year and seasons. Through the course of the Church’s liturgical year, the life, death and resurrection of Christ is opened up to us for us to reflect upon and celebrate. The readings and prayers for today, therefore, remain those for the Sixth Sunday of Easter. Music selections should normally be based upon the scriptures and liturgical season. Local concerns can still be recognised in other ways, however. They can be reflected in some aspects of the art and environment. 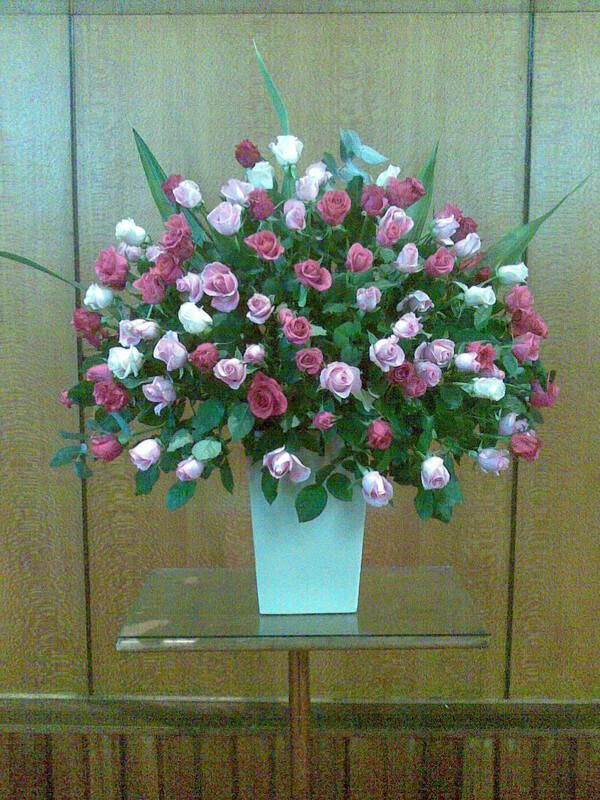 For example, today our sanctuary is decorated with floral arrangements of roses, each donated in memory or honour of mothers, and supporting the Carmelite Mission in Timor Leste. The Prayer of the Faithful can include a prayer for mothers on this day. After all, the Prayer of the Faithful is a time for all of us, the faithful, to pray for our needs and concerns. The priest can comment on Mothers’ Day in his homily, while still ensuring that he breaks open the scriptures of the day. Part of the responsibility of the homilist is to connect what Christ teaches us with our own life experience. Finally, the Church’s Book of Blessings provides a range of prayers for various needs and occasions. It includes a special prayer that can be incorporated in the Concluding Rites on Mothers’ Day, which we will also use today.